Truck Drivers are some of the most dedicated and hardworking individuals one could come across. The work they do keeps shelves full of products that we all can enjoy. Although it can be a thankless job, at times there are those who honor the drivers of this nation. Every year a truck stop in Idaho shows its thankfulness to truck drivers with a free Thanksgiving meal for two. Being a truck driver can mean being away from family and friends during the holidays. Truckers take to the roads of America delivering the goods the rest of us desire while sacrificing a normal work schedule and time off for the holidays. The Boise Stage Truck Stop welcomes drivers on Thursday, November 24, 2016, for a Driver Appreciation Day. The celebration includes a traditional Thanksgiving meal with all the trimmings (yes even pie) for a driver as well as one guest. Just show them your CDL and bring your appetite! The event will also include prizes. 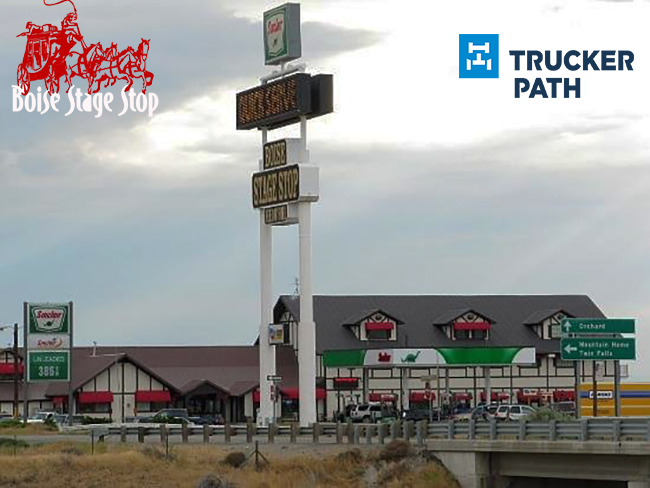 A standout among independent truck stops, The Boise Stage Stop was ranked by Trucker Path users as the #1 truck stop in Idaho. For more info visit The Boise State Stop.